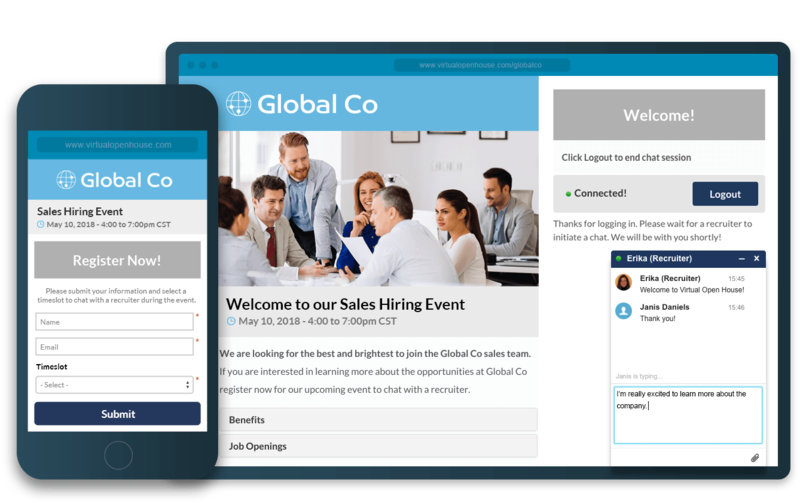 Direct candidates to the landing page URL to learn more about the event, and schedule a time to connect via one-on-one chat. This is the live event. Chat in one-on-one sessions with your potential hires using the powerful interface of Virtual Open House.